Policies on race may be divisive unwittingly. Leong Sze Hian. 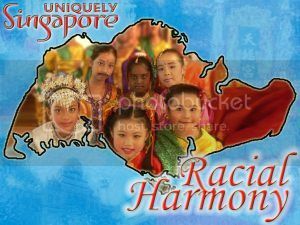 We are Singaporeans, race should not matter? From 2 January, the race of new born children has to be indicated on the birth certificate. Parents who are of different races, can choose either the race of the father or mother for their children. Before the child turns 15 and gets his identity card, the race can be changed with the consent of both parents. So, what are the implications of this policy change? Every year or two, Members of Parliament would bring up the issue of their residents who are affected by the HDB Ethnic Quota policy. When the ethnic quota is reached in a HDB block, the ethnic group members who are affected may encounter difficulty in selling their flats, or see their flats’ resale price some 10-plus to 20-plus per cent lower than their neighbours’. Imagine you buy a flat at the same price as your neighbour, but when you try to sell the flat years later, the price of your flat may be much less. For example, if the market valuation of a flat is say $400,000, a flat-owner who may be affected by the Ethnic Quota, may only be able to sell for say $320,000, a difference of $80,000. In the years to come, and if HDB prices continue to increase, the differential due to the Ethnic Quota may be in the hundreds of thousands in the future. The probability of being affected by the Ethnic Quota may not be very high, as I understand that only about 25 per cent of HDB flats have exceeded the quota. You can enter the block number and street name, in the HDB’s web site to check whether the Ethnic Quota has been reached. I asked a friend who works in a Family Service Centre (FSC), and she told me that there were only about five Ethnic Quota households who could not service their HDB loans last year, in that particular constituency. There are 36 FSCs in Singapore. In this connection, I understand that the only exception to the Ethnic Quota rule which is applied to both HDB flat sales and rental, are the HDB blocks that are entirely rented out to foreign workers. The monthly contribution deducted from workers’ salaries to help fund the various self-help groups like the Chinese Development Assistance Council (CDAC), Eurasian Association, Mendaki and SINDA, range from $0.50¢ to $1, $1 to $7, $2 to $10, and $2 to $16, depending one one’s salary. One can choose to contribute a different amount or opt-out. The tuition and financial assistance schemes vary amongst the different self-help groups. The tertiary education financial assistance offered subject to means-testing, may also be different for an ethnic group. Race is fundamentally about one’s heritage, ancestry, culture and future generations. Should parents and children have to consider the merits or demerits of “benefits” in their “race”? Will there come a time in the near future, when some people may for all practical purposes say that they belong to one race, only to identify with another with their identity card when they apply for a HDB flat? After all we are all Singaporeans – should race matter at all? Picture from Greenridge Primary School.